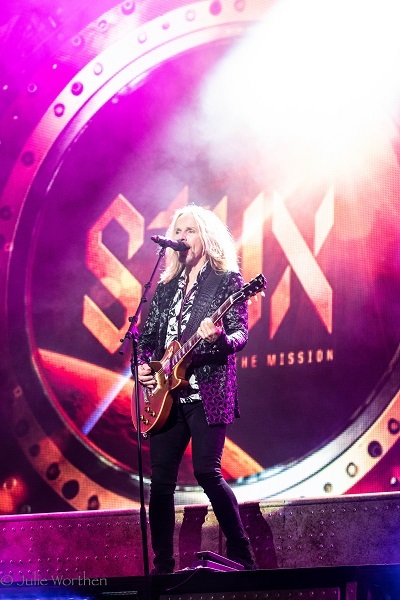 Styx are one of the most talented rock bands in the world. Each member has a unique playing style and has the ability to hold multiple roles. Not only that but they put on a show. 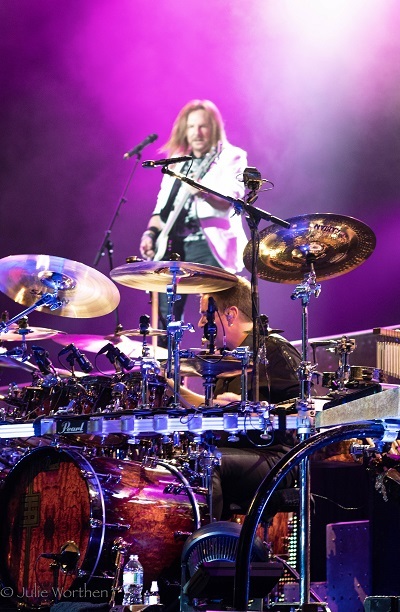 Styx took the crowd through decades of their musical success all in one night. As each member of the band appeared on stage, the crowd roared with applause. Starting with “Gone Gone Gone” the show was on the road and the tone was set for the night. 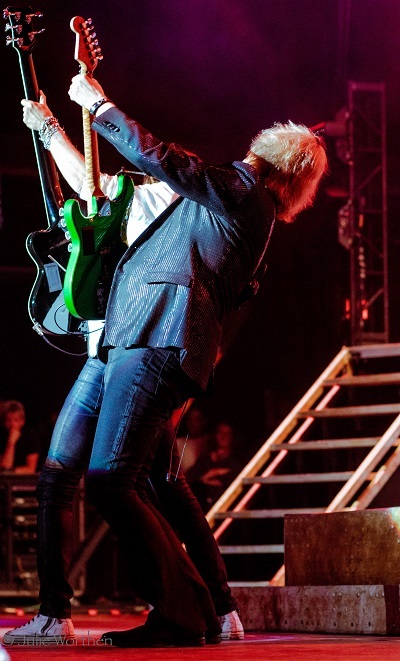 The chemistry in the band is something that is undeniable. 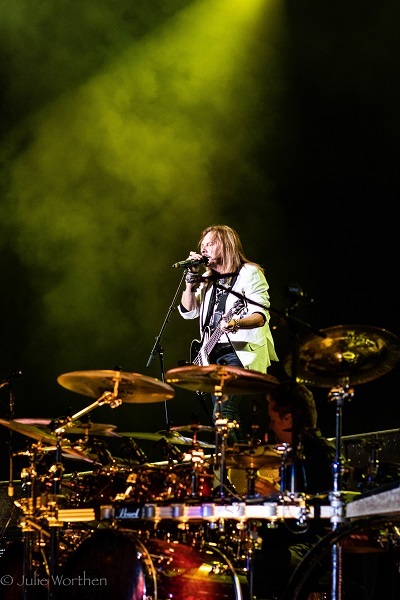 James Young, Tommy Shaw and Ricky Phillips (guitar and bass) consistently jammed together through the show, taking turns on who was going to wow the crowd with their impeccable style and playing. “Blue Collar Collar” had the entire Boston seaport singing. 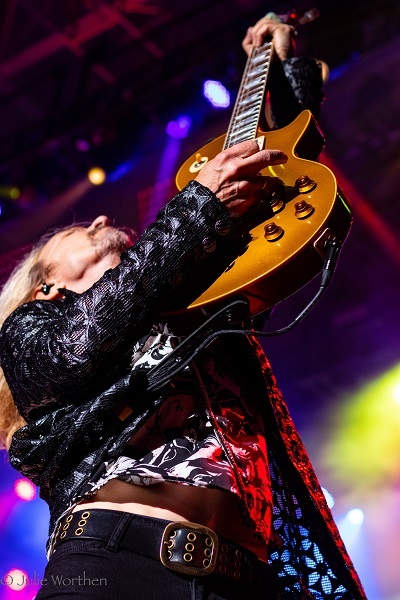 Those who have been fortunate to see Styx before got the chance to experience yet another reminder of why this band are still revered as rock legends and those who haven’t got to see what real rock and roll music sounds like! 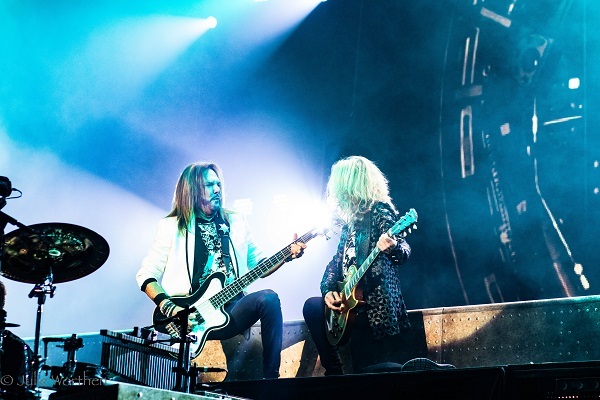 Styx have the ability to entrance your whole body! 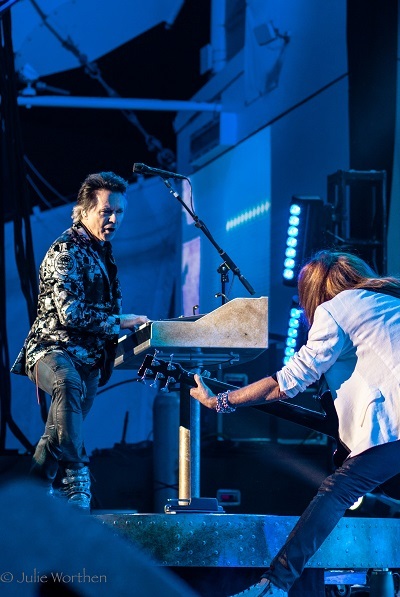 Lawrence Gowan left no corer of the stage untouched. He ran and climbed as he belted out songs such as “Come Sail away” and even “Bohemian Rhapsody” by Queen. 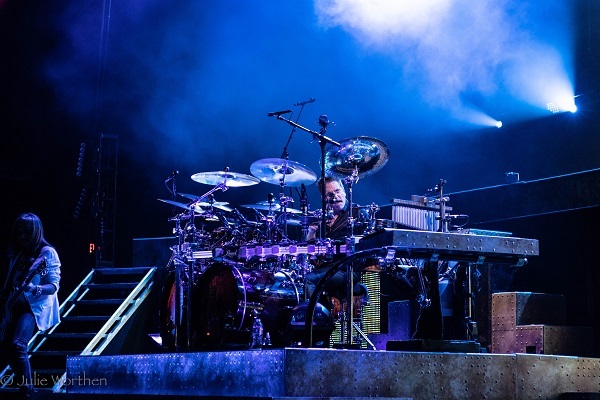 Lawrence also graced the audience with his enchanting piano playing, demonstrating a level of skill that clearly affirms his deep acquaintance with this instrument. Every great rock band has a solid core and foundation. For rock, that’s the Rhythm section. 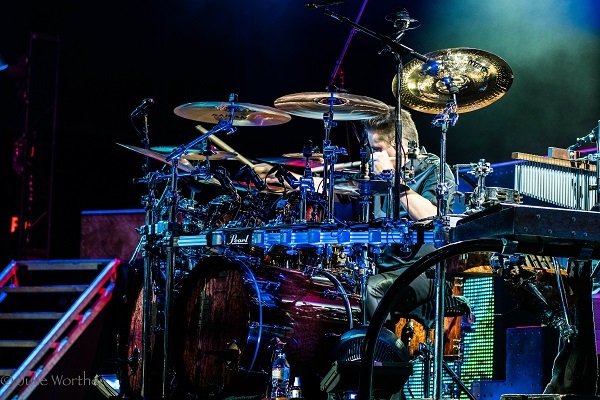 If you have never heard of Todd Sucherman, you are missing out on one of the greatest drummers of all time. Not only does Todd hammer one bass drum, he hammers at two bass drums. His playing sends rhythmic vibrations threw your whole body. 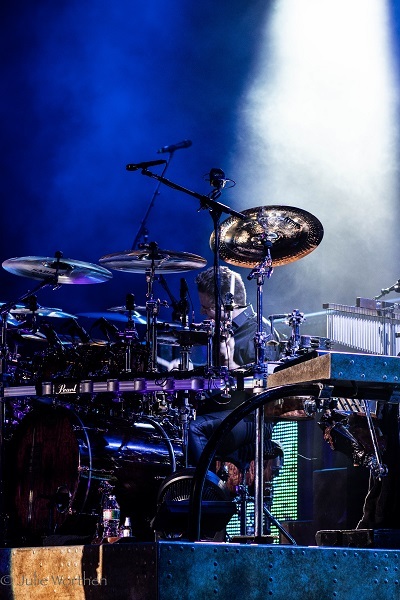 His drum set is more like a drum castle as he sweeps from side to side flawlessly. 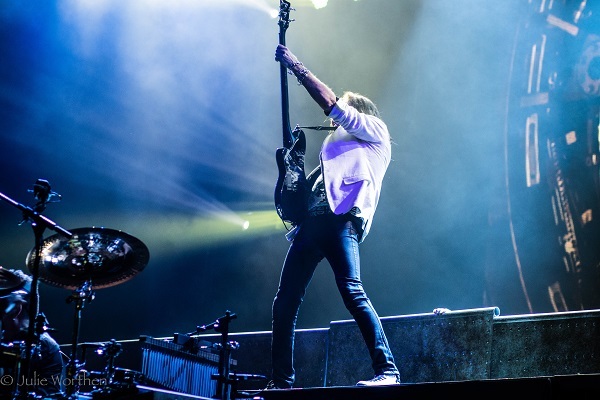 And, what’s drums without bass? Ricky Phillips and Chuck Panozzo hold down the bass. Chuck is a original founder of the band. The crowd gave a special cheer for the man who founded a band that’s led to so many classic songs. 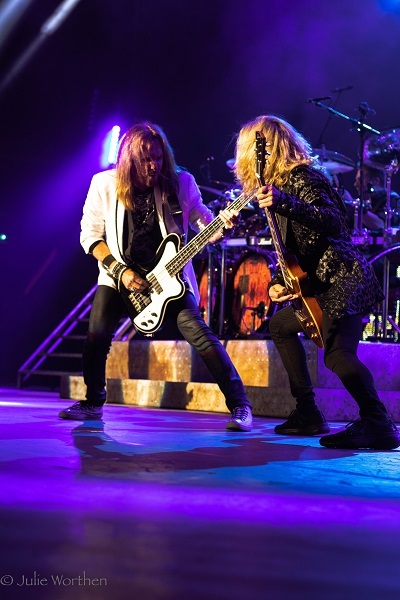 Styx ended their night with a highly demanded encore. The crowd lucked out with not one but two classic songs. “Mr Roboto” and “Renegade”. Not a single person was in their seat. Everyone was up singing, swaying and dancing away the rest of the evening. It goes without saying that this was a phenomenal show that I would highly recommend.